Total income for November came in at $9,478.96 which was well above for me. It sure helps when you get paid bi-weekly and you get that 3rd paycheck during a month. The majority of the income, $9,157.26, came from my day job. Expenses dipped slightly from October by just over $300. 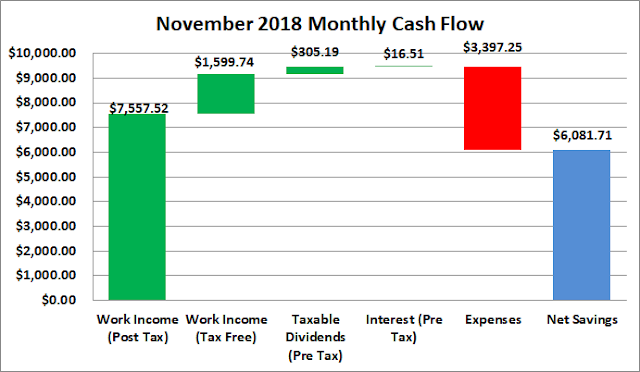 Through the end of November my 2018 average monthly income comes to $8,289.20 while my average monthly expenses are at $4,710.35. 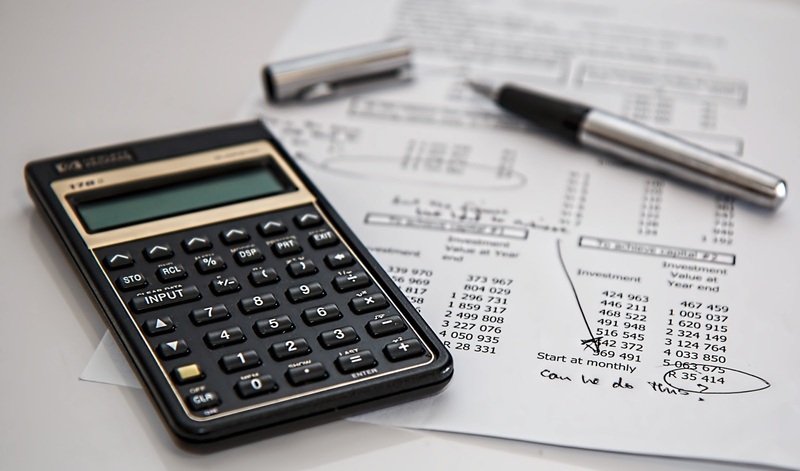 Average monthly expenses less debt payments comes to $3,636.80. That puts November at a net positive cash flow of $6,081.71. The official savings rate for November was 64% based off all income sources and 63% based solely off of work income, i.e. excluding dividends/interest. Truly passive income, dividends and interest, totaled $321.70 during November which was about a $5 increase from August. *Dividends are from my taxable accounts only. Based on November's spending the passive income for the month covered 9% of expenses. Thus far in 2018 I've totaled $5,442.56 from income outside a traditional day job. As with all things life likes to change your plans. While I desperately want to be get to rid of our non-mortgage debt at this time it makes more sense for us to build up our cash. So debt reduction is currently put on hold, outside of the normal payments that we're making. Our plans will once again be changing or at least altered slightly after the chaos that was November.